A beautifully illustrated edition of the thrilling, wintry Nordic tale by Neil Gaiman andÂ Chris Riddell, who together weave a truly magical story of legend and adventure that will grip and enchant readers from beginning to end. Odd, a young Viking boy, is left fatherless following a raid. In his icy, ancient world there is no mercy for an unlucky soul with a crushed foot and no one to protect him. Fleeing to the woods, Odd stumbles upon and releases a trapped bearâ¦and then Odd's destiny begins to change. 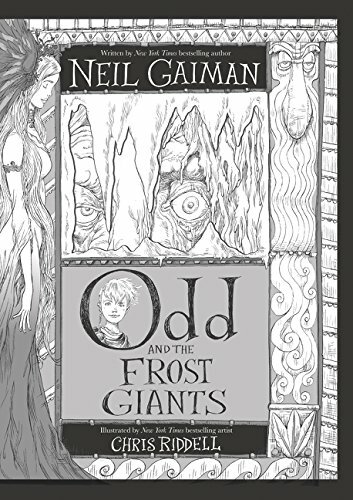 About: A beautifully illustrated edition of the thrilling, wintry Nordic tale by Neil Gaiman and Chris Riddell, who together weave a truly magical story of legend and adventure that will grip and enchant readers from beginning to end.